* There are people who become curious and want to know more about how this technology can be used to enhance their lives or business. * There are the people who become paranoid and worry about the repercussions of these new devices. * There are the early adopters who want to purchase the device right away to experiment with it. * There are the disinterested people who ignore the technology. As a photographer who teaches others, I thought I would be the first to try and set our own standard for the use of these devices. First of all, lets start with the term drone. I really hate calling these "drones" since that term has such a negative connotation. When we hear the word drone, we usually think of military devices used to spy or attack our enemy. 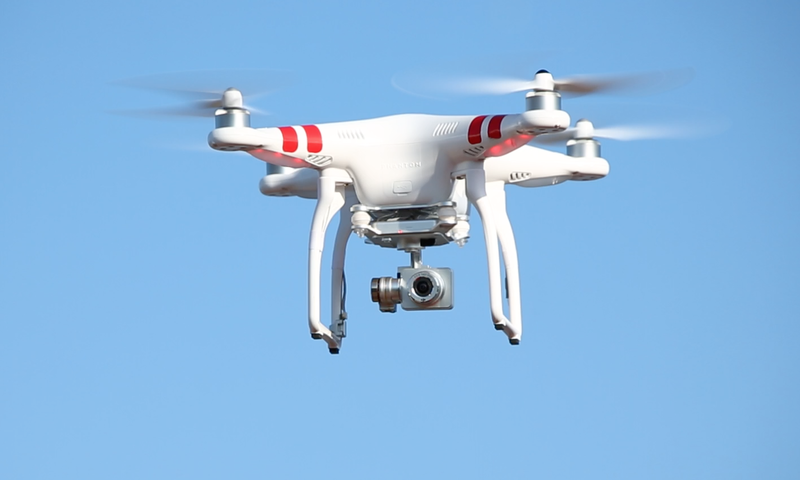 They have many other names for these consumer devices, including octocopters (which have 8 props) and quadcopters (which have 4 props)...but I think we should call these flying cameras. Agencies around the world are trying to figure out what regulations might be required for these flying cameras. I find it interesting that so many people worry about a "camera in the sky" when we are surrounded by aerial cameras. As we walk down the street, through the mall, around our office park, we are constantly on cameras. If people were really concerned with being on camera, nobody would ever go to Las Vegas! I don't think there is any space in Las Vegas where you are not on camera. In the mean time, I think that us photographers should do our best to create our own standards. We should not use these to spy on our neighbors or take photos or video in areas where we are not invited. But then again, these are the same rules we should follow with our DSLR cameras. In other words, we should be good citizens, regardless of what camera we are using. I have been in numerous situations where I am flying my camera over people (like the crowds at the WRC rally in Italy), and I am very careful not to get too close to the people. At home,when I am with friends and family, I will often fly within a couple of feet of them, but I would never do that with strangers. Where can we use these flying cameras? Recently I flew my Phantom 2 Vision+ around the Golden Gate Bridge. Before doing so, I searched the Internet to see if there were any restrictions from doing this, and I found nothing. I know that all of the National Parks in the US have banned these flying cameras, probably more for the noise issues than privacy concerns. I am sure that there will be more restrictions to come, as the popularity of these devices increases. I do know that, in the US, it is illegal to fly once of these devices within a 5 mile range of a major airport. Wherever I fly my Phantom 2, I get a lot of people asking questions about the copter, the camera, the gimbal and the controls. I always try to share information with them, so that they understand what I am trying to capture and how cool the technology really is. When flying over the Palace of Fine Arts in San Francisco, I had a lot of people wanting to come over and see what I was seeing on my iPhone display. We should promote the advantages of this amazing new technology, and try to make people understand that there are more good uses of these flying cameras than bad uses. As a photographer, I love the ability to photograph scenes that were previously impossible or near impossible. Our range of photo opportunities just got so much bigger. In Sardinia, there are more sheep than people. I wanted to take a photo of sheep to add to my story, but could not get close enough to them to get a decent shot. But with the Phantom, I could fly up and over the field and get a wide shot, previously not possible for me. And of course, there are the countless other good uses of these flying cameras, like search and rescue, farming, disaster recovery... I personally feel that there are way more positives than negatives when it comes to using these devices. For now, it sounds like the commercial use of flying cameras is still up in the air (yeah - I just said that). 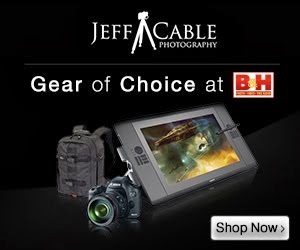 I am personally not sure how this will unfold, as more and more professional photographers and videographers add these to their hardware collection. 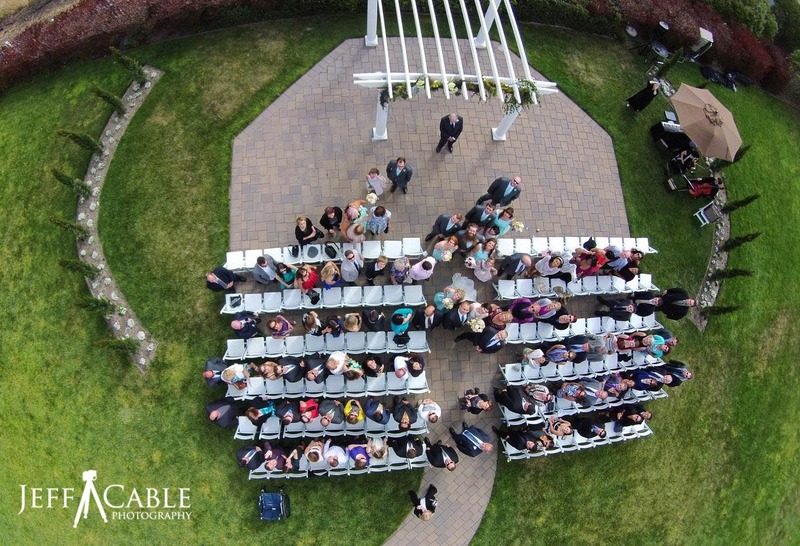 Recently, while shooting a wedding, I was asked by the bride and groom if I could take an aerial shot of their wedding. I was happy to do so, with their permission. Now the big question is, can I legally sell them this image or not? I have always enjoyed shooting photos that are different from everyone else's. Since adding the Phantom to my collection, I now look at aerial opportunities too. I view the flying camera just like another lens choice. I see the scene that is in front of me, and then determine whether it would be best from the ground (determining the best focal length) or from the air. I was driving around the North side of Sardinia, when I saw this view from the freeway. There was no way to take a photo from the roadside, so I pulled over at the nearest turnout and sent the Phantom 2 up to get my shot. I loved the color of the water in Sardinia, and I did take many photos using a circular polarizing filter with my Canon 1DX. But I was more impressed with the aerial photos looking back at the island. Is the camera better than my Canon DSLR? No way. But the vantage point was clearly more spectacular. So...maybe you are one of the thousands of people who has either purchased a flying camera, or is about to make that purchase. The most important thing is to have fun with these amazing new cameras. Once you have tried one, you will be hooked! The island of Sardinia - an aerial view using the DJI Phantom! Last week I posted photos of the WRC race in Sardinia, Italy. It was a lot of fun to shoot photos of the rally car race, but I also had a blast traveling around the island to shoot photos and videos with my new DJI Phantom II Vision + drone. This first photo was taken from out over the Tyrrhenian Sea, looking back at the town of Alghero. When I was walking around Alghero, I saw stores selling post cards with photos like this, and thought "Hey - I can get that shot with the Phantom II!" I had previously practiced flying the drone at home, and was ready for the longer, more challenging flights in Sardinia. It was a little scary flying the drone so far from me that I could not see it anymore, but I still had visuals on my iPhone, and knew that if I went too far, the drone would come back to where it started. People kept asking me about the range of the Phantom, which appeared to be approximately 2,000 feet. After shooting the distant shot, I decided to fly the Phantom in closer to get some other photos of the old city and the harbor. I saw the opportunity to show off the clarity of the water from above the harbor. I wanted to shoot some photos high over our hotel, and sent the Phantom up over 500 feet to get this shot. Another high altitude photo taken high above Alghero. This time I think I was over 800 feet in altitude. I could have gone higher, but I got a little nervous and stopped there. With photo opportunities like these, I found myself using the drone more than my Canon DSLR cameras. In between shooting a couple of different stages of the WRC race, we stopped in this small town to get some refreshments. I saw this old church and had to run back to the car to grab the Phantom. And yes, everywhere I went with the drone, I was the center of attention. It was funny to hear people speak Italian around me with the word "drone" being the only word I understood. We were returning from a long day of shooting, when I saw the evening light shining on the Basilica of the Holy Trinity of Saccargia. I called ahead to the car in front of us and and asked if we could turn around and grab some photos and videos of this well known church. They readily agreed. On my last day in Sardinia, we made a trip to the North East part of the island, where I captured these photos. It was very different from where we were staying on the West side of Sardinia. There were some amazing yachts in this harbor. This is one of my favorite photos from the trip. Just look at that water - so beautiful! To see the video much larger (and in full resolution - and I recommend choosing 1080p resolution), click here. I usually do not shoot video with my DSLR cameras, but with the Phantom, it is so easy to switch from stills to video, that I found myself shooting a ton of video. I put together this 5 minute video to show you some of my favorite aerial views of Sardinia and the WRC race. You can also see how amazingly smooth the video is, even when flying the Phantom in windy conditions over the water. I hope you enjoyed seeing these photos and videos as much as I did capturing them! I just returned from a week long trip to Sardinia, Italy where I was photographing the World Rally Car (WRC) race. I was really looking forward to this trip for two reasons. Firstly, it was on the beautiful island of Sardinia, and I had never been there before, and secondly, because I had never photographed rally cars before, and always love shooting something new. This blog post is all about the race, and next week's blog post will show you the beauty of the island, with many aerial photos and videos taken with the DJI Phantom II Vision + drone. So let's get to the race. The first event that I photographed was the ceremonial start, which was located in the southern city of Cagliari. This event started at 9pm, which meant that the lighting was going to be low and the action was going to be fast. Even pushing the ISO as high as 10,000 and using the flash, there were not many good photo opportunities at this event. More than eight hours of driving, getting us back to the hotel in Alghero at 1am, and this was one of the few photos that I considered a "keeper". But I knew that the rest of the rally would be during daylight hours, with better conditions for shooting. The next day we were up early to head out to the second stage of the race. The light was much better and the action was really great, with the drivers pushing the cars hard through every turn. There were three big challenges to shooting this rally. 1. Since the rally is spread out all over the island, there were many times when we had to drive 3-4 hours to get to our location. This meant that we had many days where we were up at 4:45am and in a car driving for more than 7-8 hours to shoot for one hour. 2. It was really hot, with temperatures often reaching close to 100 degrees F.
3. It was REALLY dusty. As it turns out, the dust on Sardinia is a really fine silt that gets into everything. It is going to take a while to get all this dust out of my cameras, my lenses, and my lungs. Thankfully, I decided to bring the Canon 28-300mm lens, which was a good choice for this rally. With the this focal range, I could shoot wide at 28mm or zoom to 300mm without having to change lenses. And, in these conditions, the last thing I wanted to do was expose the cameras sensor all the dust in the air. This is one of the videos that I captured with the DJI Phantom II Vision + drone. You can see how much debris is coming off the back of the cars, and flying into the air. This photo shows all the dust along the race course, and also shows you how close the fans get to the action. Some of the fans were really crazy, and would get within a body's length from the cars. This driver lost control of his car and came straight at me as I was shooting. I was not worried since, as I was looking through the camera, I could see him lock up the brakes and gain control of the car. I think he came within 6 feet of me and some other photographers. Once the leading cars all passed through, I decided to put on my circular polarizing filter (to darken the environment and give me a longer shutter speed) and do a little motion panning. This photo was taken at ISO 100, f/22 at 1/30th of a second. The next day, we drove way out into the mountains to photograph the cars coming off the big jump. I knew that this would likely yield the best photos of the rally, and I was excited to capture this stage of the race. My first photo position was at the top of the jump. I wanted to get some good action shots, but also wanted to include all the fans that made the long trek to this remote location. I photographed the first 3 or 4 cars from this position, and then moved to a forward facing position. Wow! These guys catch some serious air! You will notice the well placed Lexar banner in the background. Since I was shooting photos for Lexar, I made sure to position myself in a location where I would have the car in mid-air and the banner in focus in the background. I grabbed this shot, right as this guy nosed the car into the ground. This car got the best air of any of them, and I was happy to capture this photo at the crest of the jump. I was shooting pretty tight on the cars, when this helicopter appeared over the crest. I quickly zoomed out to show how close the chopper got to the crowd. These pilots are really good! I framed this shot to highlight the car and also the photographers. This shows the first photo position, where I was shooting from the top of the jump. Another shot showing the rally car and low flying helicopter. I walked along the road (in between rally cars) to get to different photo positions. Typically, the cars were spaced about 3 minutes apart, but since this was fairly far from the start, the timing was not guaranteed. For this shot, I had to jump up into the bushes, as this car was oncoming. And yes, I got completely covered in the trailing dust! I tried to stay on the up-wind side of the road, but this was not always possible. And then, when I was shooting on the down-wind side, I would do my best to shoot and then try to run away from the bulk of the dust. After shooting all the close-up shots on the previous days, I wanted to get into a position where I could shot a wider, longer shot of the cars. After one of the rally cars passed by, I took this photo to show the dust cloud left in it's wake. I saw this fan with his Sardinian flag, and had to get a shot. After the race was over, we packed up and loaded up the car. But there was a stand serving cold beer and sandwiches. We had to stop, since we were very thirsty and had not eaten lunch. They had two choices of sandwiches, sausage or horse meat. I chose the sausage (although I did try a piece of horse meat - just to say that I did). After we were done eating, I saw this fan walking back to his car. He was completely covered in the Sardinian dust, and I just had to snap this shot. Stay tuned for the next blog entry with some photos and videos of the island. I have been whale watching in Hawaii numerous times, but had never done this here in California until a couple of weeks ago. A friend of mine told me about the Monterey Whale Watching company, I thought that this would be a cool offsite for my employees. So we made plans to take the day off and head down to Monterey, CA for whale watching and lunch. As soon as we parked, I could hearing the barking from seals. I walked over towards the water and saw a whole bunch of them hanging out on a pier. Using the Canon 1DX, I took this wide shot, since I really liked the bright blue building at the top of the frame with the seals at the bottom. Since we arrived early, and our whale watching tour did not leave until 10am, I walked along the pier and put on my 100-400mm lens to get some close shots of the seals.. This guy was hanging out above all the others. Getting up onto that 2x4 must have been a challenge. And then it was time to push off for our 3 hour tour. As we headed out to find whales, we saw a bunch of dolphins (my favorite animal). Even though they were out in the distance, I still shot some photos. I like the way this photo has all ocean and mountains, with just the one dorsal fin. After motoring out for 45 minutes, we were lucky enough to find some Orcas. I have never seen these in the wild, and did not even know that we had them off the coast of Northern California. This was a pod of 5 whales who were on the hunt for some food. They are beautiful animals, especially the babies. The markings on the Orcas are very distinct. It was hard to track these whales, since they move so quickly. We would see the massive dorsal fins protruding from the surface of the ocean, motor towards them, and then they would dive for 5-8 minutes and come back up more than 1/2 mile away. Then we would try to catch up to them again. We did for 3 or 4 times and then moved on. We had to get far away from the Orcas to find other types of whales, since Orcas are the one mammal that preys on other whales and dolphins. The others try to stay clear of the Killer Whales. After cruising along for another 30 minutes, we came upon some Grey Whales. Grey whales do not come up high out of the water like Humpback or Orcas, but when they arch their backs, and start a deeper dive, they do expose their tales. We had completed our 3 hour whale watching tour, and were heading back into port, when I saw this speed boat passing us up. I had already switched lenses to the Canon 28-300mm. Remembering a recent challenge from my good friend, and nautical photographer extraordinaire, Onne van der Wal, I decided to try shooting this at 1/15 sec. I quickly roled my aperture to f/32 and panned along with the other boat. Not easy, since both boats were bouncing around so much, but it did yield this cool shot. And as we made our way back into the harbor, I grabbed this shot of all the seals on the rocks and playing in the water. I laughed when I saw this one seal sunning himself on this buoy. This is the last shot of this trip. As we passed by this fishing boat, I was captivated by all the colors. I quickly framed this shot in portrait mode. All in all, a very fun day of watching and shooting. If you find yourself near the ocean, give this a try. It is truly amazing to see how much is going out there in that vast ocean around us.